As part of the NextGen initiative to adopt a Performance Based Navigation (PBN) airway structure supported by GPS, the FAA is moving forward with plans to decommission approximately 30% of currently operating domestic VORs over the next 10 years. The VORs left behind will constitute a minimum operational network, intended to support conventional navigation in the event of a GPS outage, while not tying up resources maintaining unnecessary and underused VORs. The decommission process will take place in two phases, with the first phase lasting from 2016 to 2020, and the second phase lasting from 2021 to 2025. Although the FAA has not released specific dates for when each VOR will be decommissioned, they have provided a list of the first 35 VORs that have been approved for decommissioning, and in what phase of the project each will be removed. 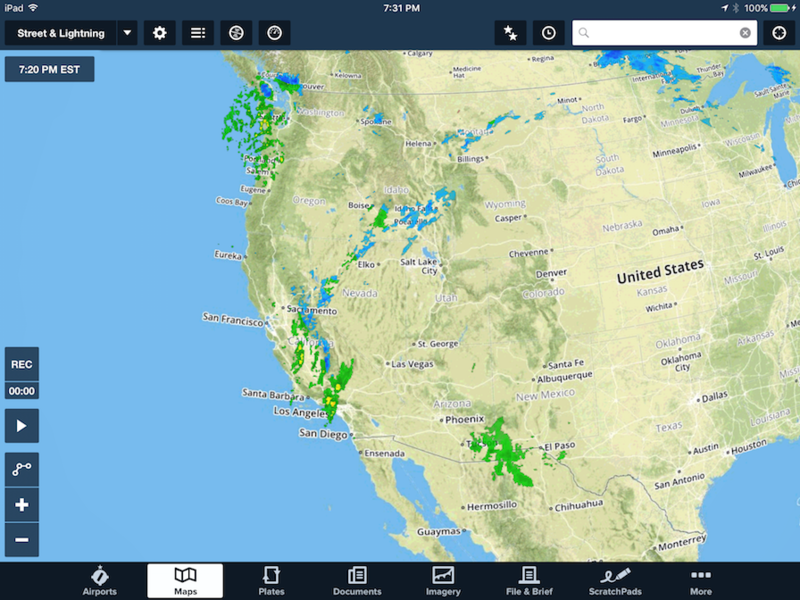 The removal of these VORs will have a large effect on the domestic airway structure and instrument procedures at many airports, and these changes will be reflected in the charts and data available in ForeFlight. Therefore we will continue to track this process and update you when specific dates are announced for each VOR. You may be familiar with some of the regulations governing how FAA Part 135 aircraft operators prepare for and conduct flights, but did you know that helicopter air ambulance operators have a number of special rules all to themselves under Part 135? One of these requires the pilot of any VFR flight to identify and document the highest obstacle along the planned route (§135.615). This ensures that the pilot briefs this potential hazard and determines the minimum safe altitude for the flight. While a good safety measure to prevent collisions, the requirement has been a pain point for some operators as the somewhat vague guidance to “identify and document” is left open to interpretation. Not to mention that some methods of complying with the requirement could take up a good chunk of a pilot’s preflight preparation time, which is at a premium with air ambulance operations. Fortunately for air ambulance operators using ForeFlight, there is a fast and easy method of complying with the highest obstacle requirement in the app itself. 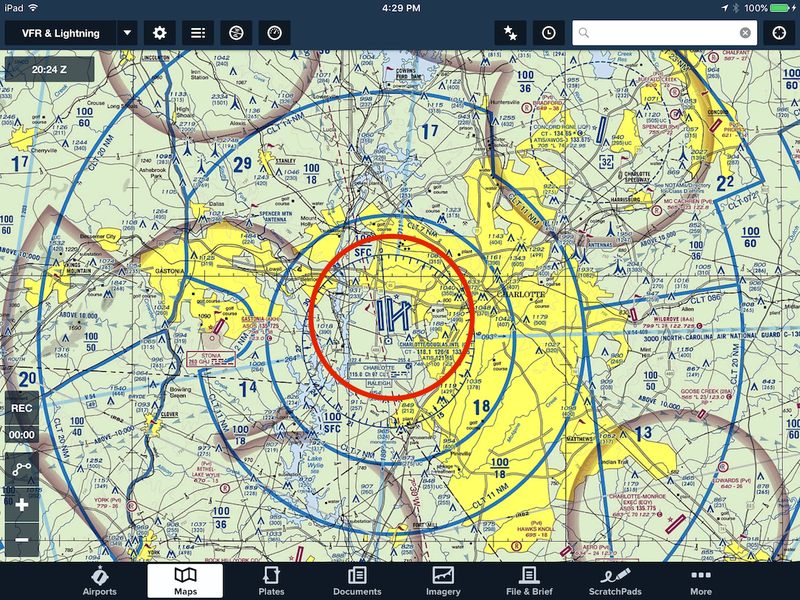 This method employs ForeFlight’s Profile view (available with Pro and Pro Plus subscriptions). 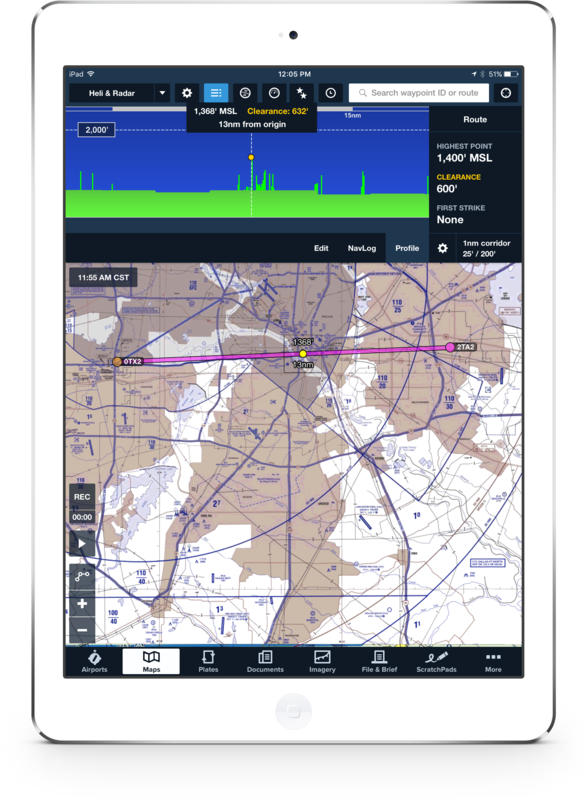 Start by entering departure and destination points in the Route Editor, then tap Profile to view the vertical cross-section of the planned route. Terrain and obstacles are dynamically highlighted based on relative height to your selected altitude. Tap and hold anywhere in the Profile window (other than directly under the altitude box) and a vertical dotted line and box will appear showing that point’s altitude in MSL, the clearance in feet between the point and your planned altitude, and the distance of that point from your departure point. Dragging your finger right or left shows this information for any point along your route. The selected point is also displayed on the “top-down” view of your route below, revealing where the point is along your route. The profile window also allows for pinch-zooming and dragging so you can unclutter nearby obstacles. You can change the total width of the corridor shown in Profile by tapping the button at the bottom-right of the window and tapping “Corridor Width” at the bottom of the popup. Using Profile view allows the highest obstacle along a route to be easily identified. As for “documenting” it, simply place the dotted line on the highest point and take a screenshot by pressing the iPad’s home and lock buttons at the same. The screenshot can then be accessed and shared from the iPad’s Photos app, or from a cloud storage app like Dropbox. A number of air ambulance operators using ForeFlight have shared with us how this feature helps them comply with the highest obstacle requirement. We hope this helps you, too. 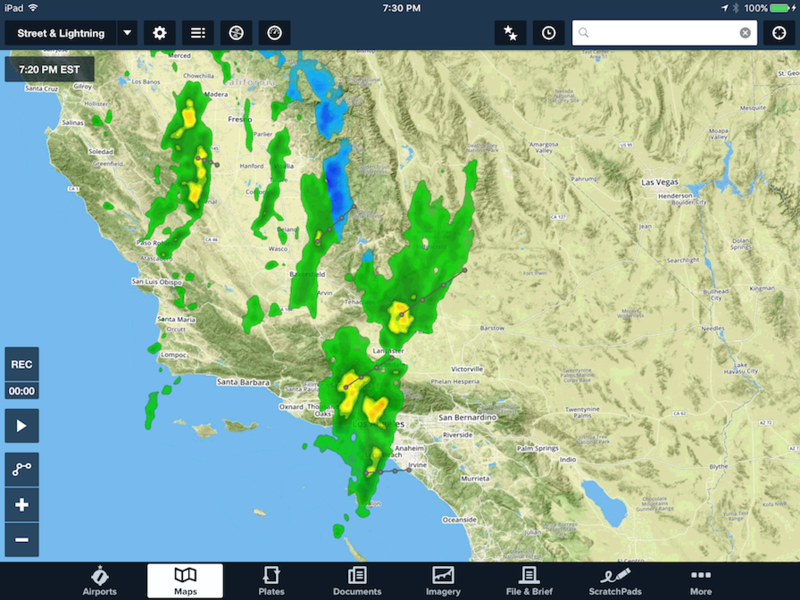 With ForeFlight 7.5 you’ll have the ability to peer into the minds of forecasters. Yeah, I know… scary thought! 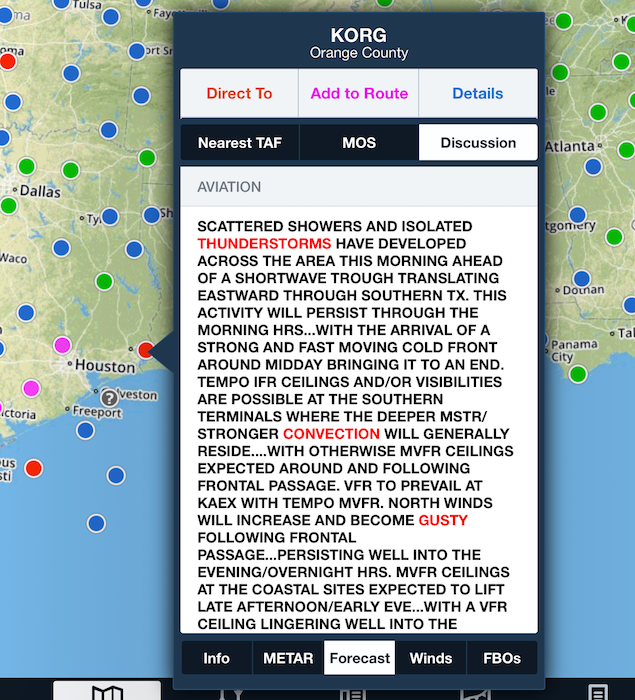 No, we haven’t developed a method for mental telepathy within the app; but, we now provide access to the forecaster’s thinking about the latest set of Terminal Aerodrome Forecasts (TAFs) they recently issued. These are referred to as Area Forecast Discussions or AFDs. 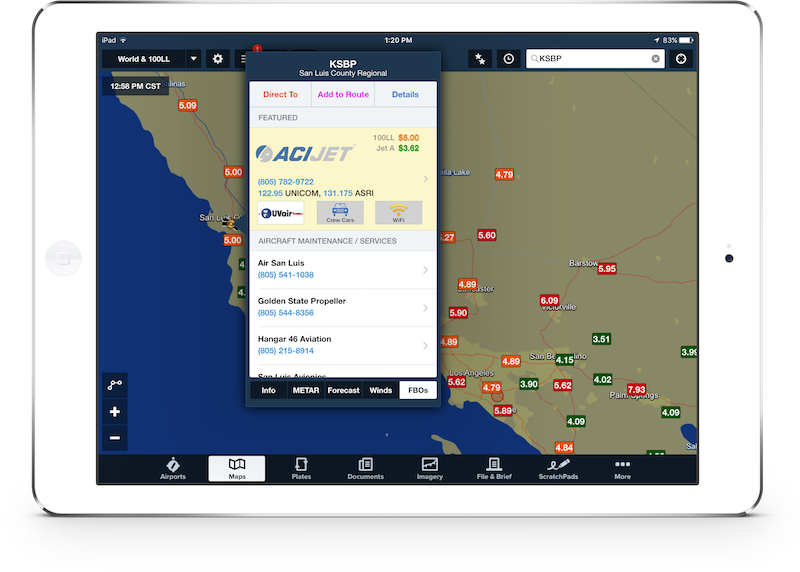 Let’s take a look at how these can be used in your routine flight planning. Let’s say you are planning to fly into Charlotte Douglas International Airport (KCLT) arriving in the early afternoon around 1800 UTC and the latest terminal forecast issued at 1140 UTC shows good visibility (P6SM) with showers in the vicinity (VCSH) and a broken ceiling at 7,000 feet (BKN070) at the time of your proposed arrival. Does this worry you even a little bit? After all, high-base rain showers in the vicinity of the airport appears to be fairly harmless even for a pilot flying VFR? Actually, this should concern you – this may just be a forecast for thunder. The red circle annotated here on the Charlotte TAC represents the 5 statute mile radius of the Charlotte Douglas Airport (KCLT) terminal area. This is the tiny region that forecasters consider when issuing a Terminal Aerodrome Forecast (TAF). Just because you don’t see a forecast for TS, TSRA or VCTS in a TAF, doesn’t that mean you won’t see thunderstorms arriving or departing that airport. What it could mean is that the forecaster wasn’t confident enough at the time he/she issued the forecast that a thunderstorm would develop within or roll through the region referred to as the terminal area. The terminal area is the region of airspace within a 5 statute mile radius from the center of the airport’s runway complex like the one shown above for the Charlotte Douglas International Airport (KCLT). So it is common for meteorologists to use showers in the vicinity (VCSH) or rain showers (SHRA) as a placeholder for thunder when forecaster confidence is low. The forecaster doesn’t have an obvious way to quantify his/her uncertainty in the actual body of the coded TAF. Quantifying uncertainty is paramount when constructing any forecast (especially one for thunderstorms) and is usually done with a probabilistic approach – you know, a chance of this or a chance of that. What about the PROB group that you may have seen in a TAF? Sure, that would work, but NWS directives state that a PROB30 group can’t appear within the first nine hours of the terminal forecast. 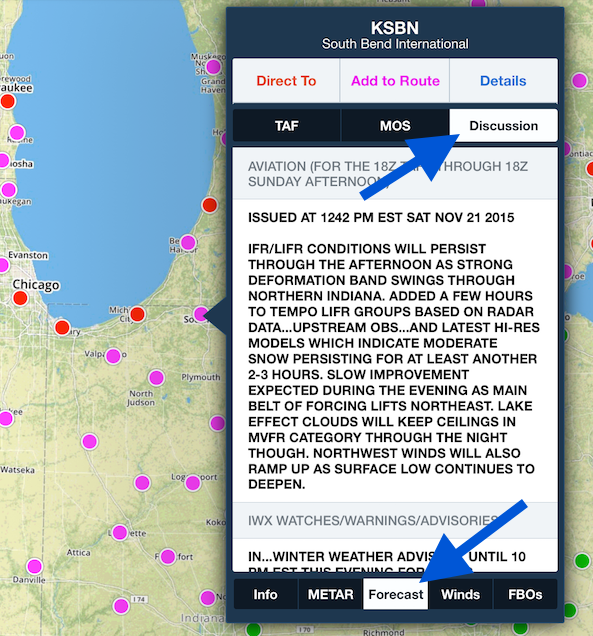 By the way, the NWS only uses PROB30 groups; although you may see PROB40 in TAFs when flying to other countries. So back to the issue – how does a pilot know that showers in the vicinity is a placeholder for thunder in the TAF issued for Charlotte Douglas International Airport? First, AFD doesn’t stand for Airport/Facility Directory as you may have thought. It’s called an Area Forecast Discussion. Second, it’s not a discussion about the aviation Area Forecast (FA) issued by meteorologists at the Aviation Weather Center. Are you thoroughly confused yet? The AFD is one of the most commonly accessed products on NWS Web sites, however, very few pilots have even heard of them. 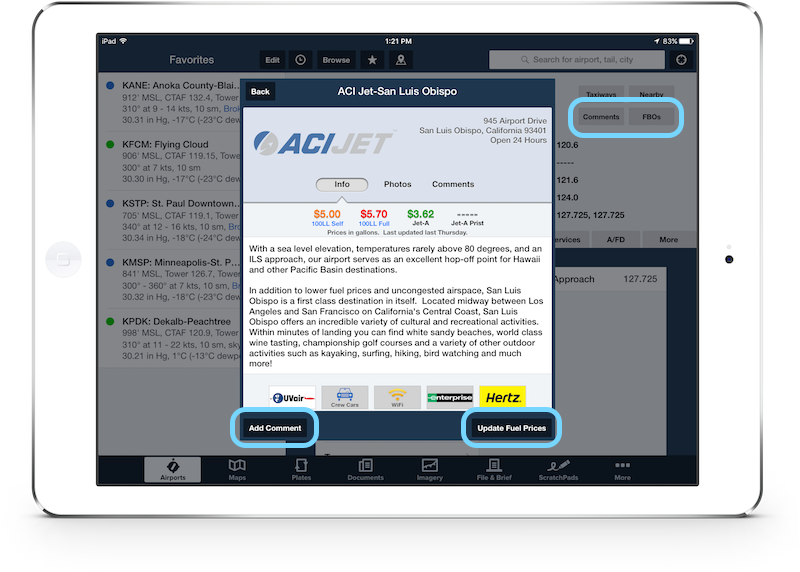 Now they are available for you to read beginning to end in the ForeFlight Mobile app! A map of the County Warning Areas (CWAs) across the United States. There is an Area Forecast Discussion (AFD) generated for each one of these CWAs. The AFD is a discussion that is written by the same forecasters that issue the TAFs. Every NWS local Weather Forecast Office (WFO) throughout the United States issues terminal forecasts for airports that appear within their County Warning Area (CWA), hence the term Area Forecast Discussion. After TAF issuance, meteorologists are required to update the AFD with a plain english discussion explaining their thoughts behind the forecast which allows them a plethora of ways to quantify their uncertainty. AFDs were originally designed as technical discussions to enhance collaboration among NWS forecast offices and to convey uncertainty to a specialized audience. So the language can be quite technical at times, but still highly useful to pilots. Let’s get back to your flight into Charlotte. AT KCLT…LITTLE CHANGE FROM 06 UTC PACKAGE AS A WEST WIND LESS THAN 8 KTS UNDER MOSTLY CLEAR SKIES WILL CONTINUE THROUGH MID-MORNING. 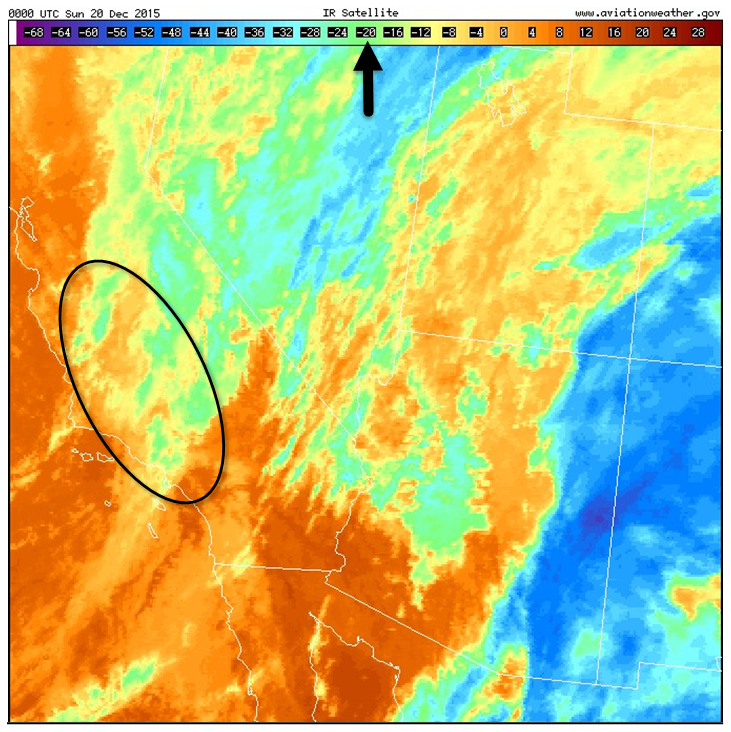 EXPECT INCREASING WSW WINDS WITH LOW AMPLITUDE GUST POTENTIAL BY MIDDAY AND PERHAPS PERIODS OF VFR CEILINGS THROUGH THE AFTERNOON. SCATTERED SHOWERS AND A PERHAPS A THUNDERSTORM…ARE EXPECTED ACROSS THE NORTH CAROLINA PIEDMONT FROM THE AFTERNOON UNTIL EARLY EVENING AND WILL CARRY VCSH FOR NOW TO COVER THAT THREAT. DEEP CONVECTIVE ACTIVITY WILL DIMINISH BY MID-EVENING WHEN A WIND SHIFT TO NORTHWEST IS EXPECTED. As stated in this AFD text that is highlighted above, the forecaster opted to use showers in the vicinity (VCSH) to cover the threat for thunder in the North Carolina Piedmont region where KCLT is located. 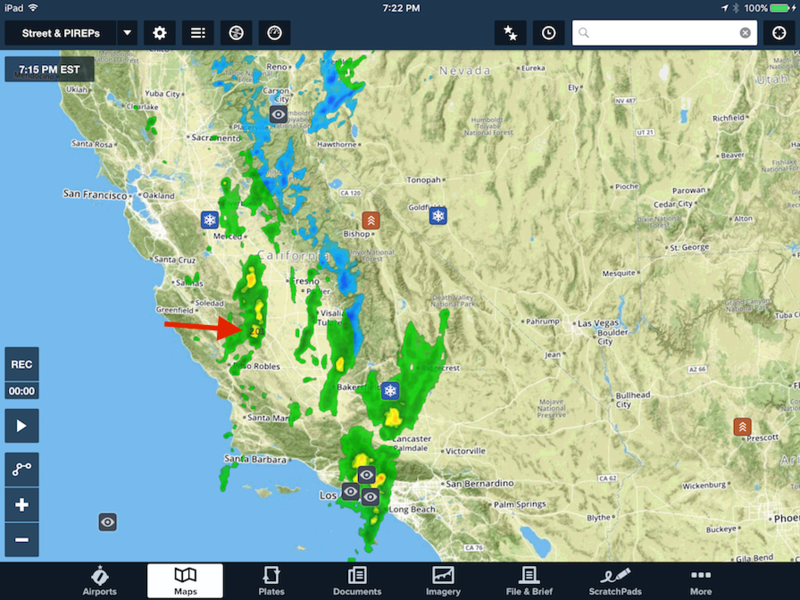 Most pilots don’t realize or appreciate that showery precipitation is actually a convective process. So forecasters will often use showers as a placeholder when confidence of thunder is low. This is not to say that every forecast for showers is used in this way, but that is a common way the forecaster quantifies his/her uncertainty for convective events such as this. For whatever reason, the forecaster wasn’t quite confident enough to impart a little meteorological risk and add thunderstorms to the Charlotte TAF. This is in part due to the relatively small size of the terminal area. If the thunderstorms in the area are anticipated to be of a scattered nature (as it was on this day), they will often omit a forecast for thunder until they are more certain thunderstorms will indeed impact the terminal area. In some situations they may use showers to hint that convection will be in the area without adding TSRA or VCTS to the forecast. As the convective weather event evolves and certainty increases, they will issue an amended forecast to add thunder. But these details are not part of the official forecast. For better or for worse, they are buried in the AFD. The AFD is the place where the forecaster can freely quantify his/her uncertainty and provide some background on why the forecast is constructed the way it is. Moreover, meteorologists at the local weather forecast offices that issue forecasts for high impact terminal areas such as Charlotte Douglas have a fair amount of outside pressure from the airlines to avoid adding thunder to the forecast unless convection is fairly certain. A forecast for thunder at the proposed time of arrival means the airlines must file an alternate and carry extra fuel to get to that alternate. So what actually occurred at Charlotte Douglas? Did thunder ever affect the Charlotte terminal area? Yes, at 1813 UTC the observation (METAR) included a report for a thunderstorm at the airport as shown below. But, it wasn’t until 1739 UTC (a mere 34 minutes earlier) that the forecaster amended the TAF to include a forecast for light rain and thunder as shown below. Some pilots might opine that the TAF issued at 1140 UTC was a bad forecast. However, given the scattered nature of the convection on this day (read uncertainty) the placeholder of showers in the vicinity was the method used to indicate the risk of thunder. The AFD was the place the forecaster documented this important piece of information. The raw AFD doesn’t have a rigid syntactical or semantic format that forecasters must follow. Moreover, that format may differ from one forecast office to the next. That’s both good and bad. 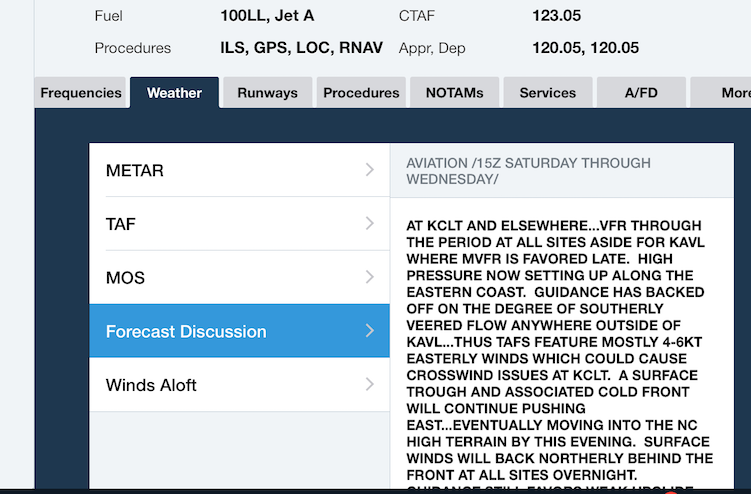 At ForeFlight we do make an attempt to visually separate the discussion into sections with a header where it is possible. Although you may find that some WFOs do a better job than others sticking to a common format as described below; so don’t count on perfection with the AFDs. Most Area Forecast Discussions (AFDs) will contain a synopsis section followed by a near-, short-, and long-term discussion. Simply scroll the window down with your finger or stylus to see the rest. Each AFD will typically start out with a SYNOPSIS section (as shown above) followed by a NEAR TERM, SHORT TERM and LONG TERM discussion. This is the accepted format for the NWS Eastern Region. In other regions you may just see one big DISCUSSION section. While not specific to aviation, these sections are important to read and often may describe the “big picture” and point out many clues and trends as to what adverse weather might occur over the next several hours or even several days. Of the most interest to pilots, every AFD will also include an AVIATION section like the one shown below. 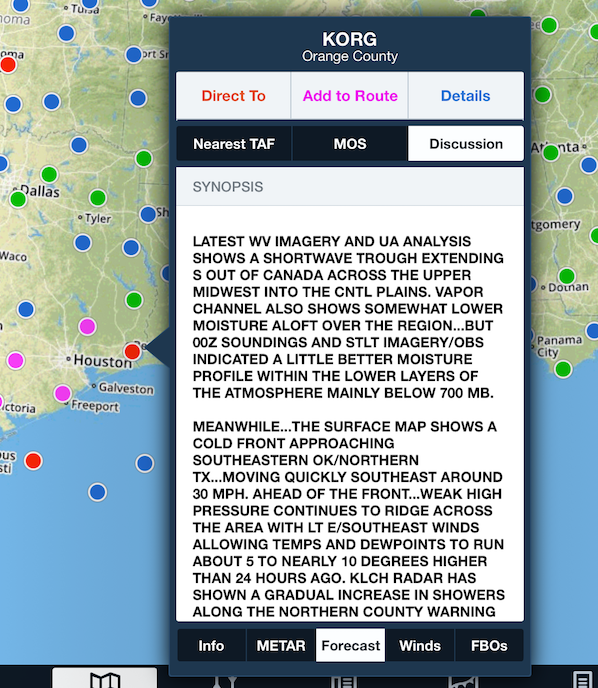 This is the section where the forecaster discusses the TAFs and aviation-specific concerns. Lastly, in some parts of the country you may find a separate section that discusses fire dangers and marine weather. Every AFD should have an aviation section. The AFD is automatically scrolled to this section when first viewed. Also notice that key words or phrases may be highlighted in red to point out the discussion of various adverse weather elements. While most of the sections in the AFD are word-wrapped, you may see some tabular sections like the confidence table shown below. In order to preserve the columnar format within this section, you can scroll these sections left and right with your finger or stylus (notice the horizontal scroll bar below this table). Some sections in the Area Forecast Discussion (AFD) are tabular. In these cases, the section can be scrolled to the right to see the remaining part of the table. 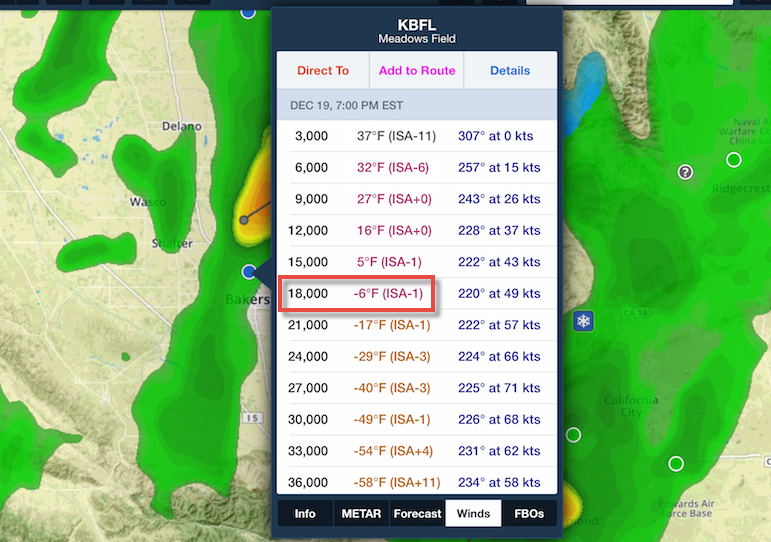 The AFD is available to all ForeFlight subscribers and to locate it in the app is as simple as finding a METAR or TAF. On the Map, bring up any airport-specific layer such as Flight Category and tap on the airport marker. 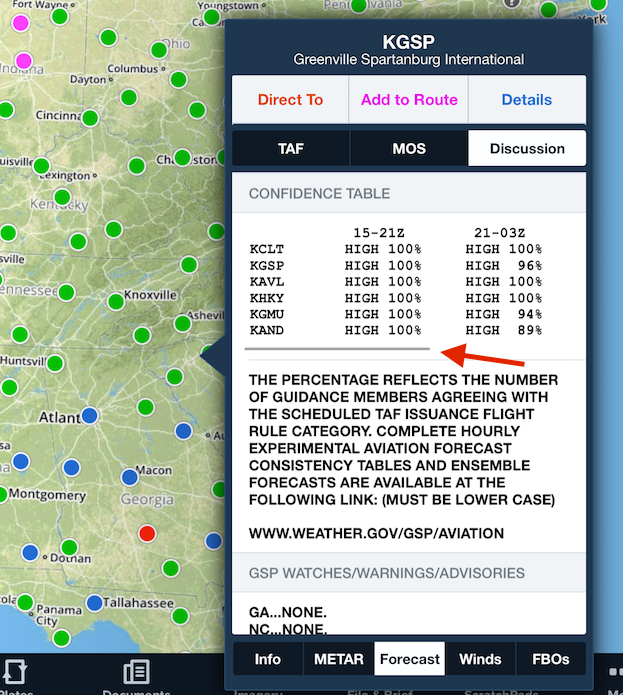 Next, tap the Forecast tab at the bottom of the pop-over window then tap on the new Discussion button at the top to reveal the AFD for that airport’s CWA as shown below. The Discussion button will be located to the right of the MOS button. The Area Forecast Discussion (AFD) is located under the Forecast tab on the station popover right next to the MOS button. You can also view AFDs in the Airports view. With the airport of interest displayed, tap on the Weather tab, then tap on Forecast Discussion as shown below. However, be careful not to confuse this with the Airport/Facility Directory (A/FD) tab. The Area Forecast Discussion (AFD) can be shown within the Airports view similar to the way METARs, TAFs and MOS are displayed. When tapping on the Discussion button in the pop-over window, the AFD is auto-scrolled to the Aviation section. From there you can scroll up or down to read the rest of the forecast discussion. Similarly in the Airports view, the Aviation section is also displayed first by tapping on Forecast Discussion under the Weather tab. Tapping on Forecast Discussion again, will position it to the beginning of the discussion text. While most of the discussion is in plain english, there will be times where abbreviations and acronyms will rear their ugly head. We’ve made an honest attempt to decode most (but not all) of these within the text. Moreover, you will see some words and phrases highlighted in red. Hopefully these will grab your attention since they sometimes point out discussion that includes more extreme adverse weather. 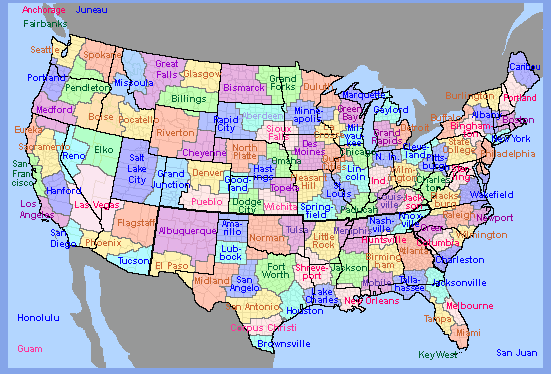 AFDs are only available for airports within the United States (including Hawaii and Alaska). So selecting any airport within the U.S. should result in retrieving the latest AFD based on the CWA that airport is located within. Consequently, airports outside of the U.S. won’t have a Discussion button on the pop-over or under the weather tab on the Airports view. Occasionally, the latest AFD may not be available and you’ll see a “No forecast discussion” response. This is a very rare occurrence, but it may happen from time to time. While some forecasters put a fair amount of time and detail describing their thoughts, not all AFDs will have details you might be hoping to learn. The AFD isn’t their highest priority; when the weather is busy the AFDs will often get the short end of the stick. That same forecaster may have to help with radar and issuing severe thunderstorm and tornado warnings on a busy convective day, for example. In the end, expect the AFDs to provide a complementary product to the TAFs. If you are not reading the AFDs, you are only getting half the story.